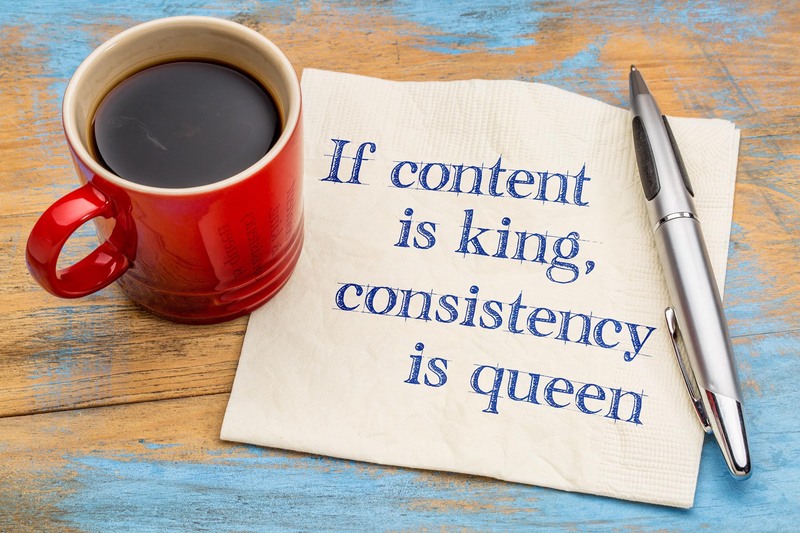 The phrase "content is king" was coined back in 1996 by Bill Gates who had the foresight to see the value of content on the web. Just think about the reason that you search Google. You are looking for relevant information on whatever subject you typed into the search field. Now imagine that your website has a large volume of information on your niche. Do you see where I am going with this? People searching for information will likely find your website in the search results. If they click through to your website and find valuable information, you may earn their trust and that may lead them to become repeat visitors. They may even subscribe to you blog posts and newsletters if you have, and follow you on social media. BINGO! That is exactly what you want. My summary may have made the concept seem simple, but arriving at a website with a large volume of content could appear as an overwhelming feat. But like everything else in life, growth is a slow and continuous. All websites with large volumes of content started small before they became the giants that they are today. My the caution here is to have a plan, as growing a website ought to be a controlled process. There is a method to what may seem to be "madness" so here is my advice on the subject:. What are the questions that you are frequently asked by your clients? Here is the perfect place to start. The answers to these questions can be useful information to share on your website. What unique experience did you, your staff or your customers have? These kinds of stories can make for the perfect blog posts. Is there some new development in your industry? I am sure that your customers would love to know how that might impact them. Are you launching a new product or service? How does it compare to others in its class? A blog post with useful information can go a long way towards keeping your customers informed. What is the background to your products or services? How are your products made? People love trivia. People love hearing good stories. There is a myriad of subjects that can be converted in content for your website. Be playful, be creative. You can add photos, illustrations or videos to your blog post. The extent to which you can go is limited only by your imagination. Now that you have an idea of the kinds of information that you can use to populate your website, it is time to turn your attention to the frequency of publication. Pages can be added to a website whenever the content becomes available, but I highly recommend adding a blog to your website. As far as blogging goes, a frequency for publishing posts should be established and maintained. Choose a frequency that works for you, or fits into your budget if you are hiring someone to do this on your behalf. There should be no pressure to keep up with anyone else. Whether it is once a day or twice a week, my admonition would be to maintain your chosen schedule. Publishing new content consistently establishes you or your company as credible and an authority in your niche. Furthermore, you become more visible and this will promote engagement which eventually generates leads. The more frequent you post content, the greater will be your benefits. So there you have it, the choice is entirely yours. Need help with content generation?